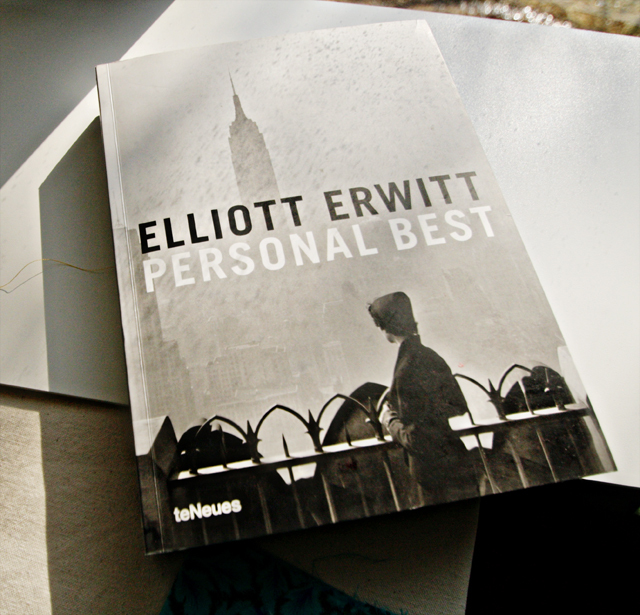 Elliott Erwitt is one of my favorite photographers. I received this book for Christmas and I flip through it almost every day. His attention to detail is remarkable, and he clearly had a great sense of humor. 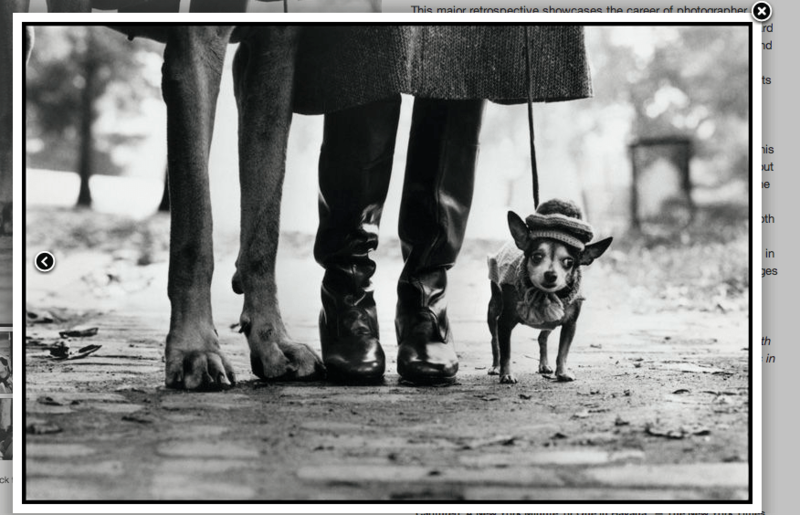 His photography runs the gamut from heartbreaking to hilarious–with the “story” of the photo often achieved through an ironic juxtaposition of subjects within the image. Though you may not recognize his name, I’m sure you will recognize many of his images. I really loved that dog portrait, whimsical! 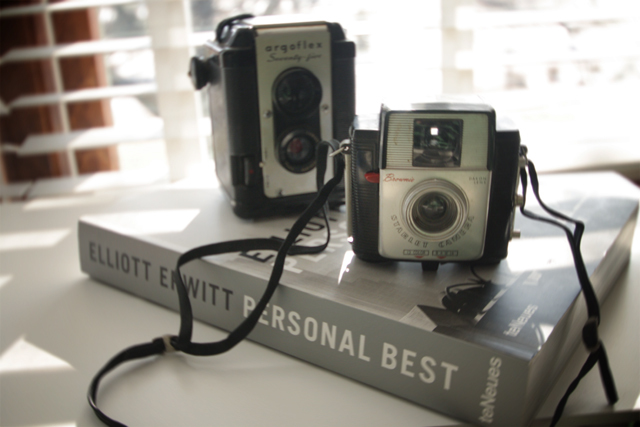 You’ve got a couple of cute vintage cameras there too, do you still use them? BTW your stitched header for April is adorable. I have several vintage cameras that are just shelf decorations. I’d be lost without digital! …and thanks for noticing the header! That dog portrait is wonderful!! 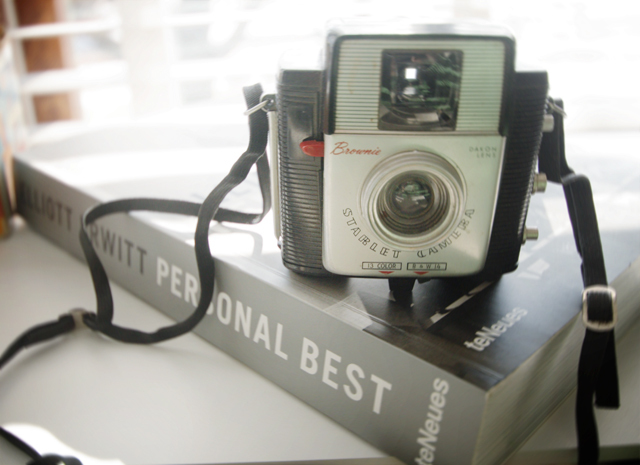 I love that your blog contains such variety … photos, books, sewing! Creative! Thank you–sometimes I wonder if a quilt only blog would be better, but I think I would be a bit bored writing about any one topic!